Or he would be even more spoiled than he already is, if that is possible! 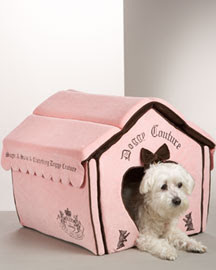 I just spotted some of the cutest things that I have seen from the Juicy Couture pet collection. 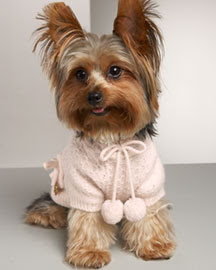 How adorable is a little dog wearing a cute sweater with pompoms and a doghouse that looks like a cute pink cupcake? Very adorable if you ask me!